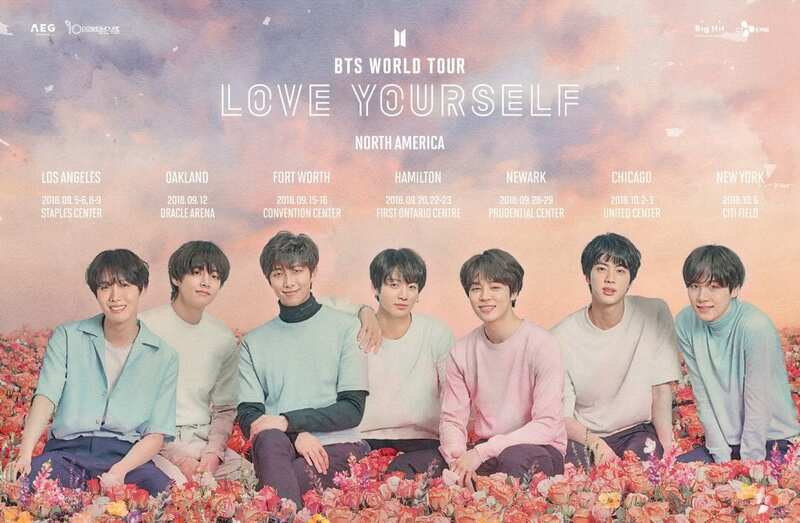 The K-pop boyband BTS, known also as Bangtan Boys, sent fans into a frenzy with their tour announcement earlier this year, and now they’ve added another show to the run – making the group the first K-pop band to play a U.S. stadium. In April, BTS dropped news of their Love Yourself world tour, which will kick-off in Seoul, South Korea on August 25. They will make a brief, month-long stop in the U.S., hitting just five cities – Forth Worth, Chicago, Newark, Oakland, and Los Angeles. However, BTS just announced a new show at New York City’s Citi Field to wrap-up the trek on October 6. Citi Field has a capacity of 40,000, and while it is usually used for the baseball team Mets, it occasionally hosts concerts. Only an act that can sell enough tickets decide to invest in a venue like this, proving the boyband’s popularity. They will join powerhouse acts like Zac Brown Band, Dead & Company, and Lady Gaga who have performed at the stadium before. BTS continues to break records; this year, they released their third Japanese LP Face Yourself and third official full-length, Love Yourself: Tear. Not only did Love Yourself: Tear become the first K-pop album to reach No. 1 on Billboard’s Top 200 albums chart, but it was also the first predominantly non-English album to top the chart since 2012. They are best-known for the hit tracks “Fake Love” and “DNA,” both racking up more than 120 million Spotify streams. Their highly-anticipated new record, Love Yourself: Answer, is due August 24. Check out BTS’ brief run of tour dates across the globe and in the U.S. below. Visit Ticket Club to find tickets to see the group live in concert this year.